As promised in this post, I'm here to share a few tips on how to get the most out of your value stamps! Maybe you have a pile of these that you never use because you just can't seem to get them to stamp nicely. Or perhaps, you see super cute designs but always pass them up because you know they'll just sit around and never get any use because their quality is lacking. Either way, I hope my post today helps give you a new take on all those wonderful little stamps and dies! My project today features sweet little hearts - which I have been using a LOT lately. You can see them here and here. These are hands-down one of my favorite value stamp/die combos and for $5 they have been worth every penny. Don't you love when you stumble upon something that makes you smile and is easy on the pocketbook? I thought I'd focus my post today on showing how easy it is to craft up a fun project with these really inexpensive supplies. Although quality-wise, value stamps will not be as sturdy as photopolymer stamps, they still work really well if you pair them with the right supplies. 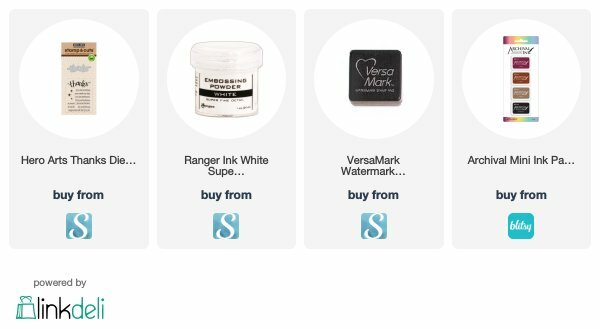 My recipe for success: use Ranger Archival Ink for crisp impressions (you can read more about this fab ink here), and don't be shy with Versa Mark ink and embossing powder. 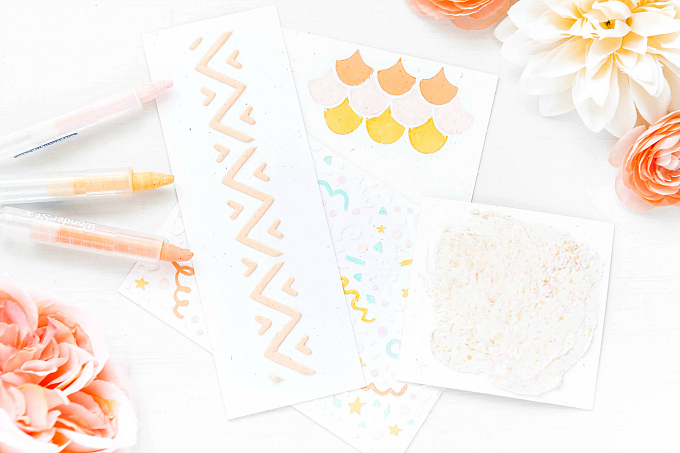 With these two techniques, your modest little stamps can work a ton of mileage and look just as crisp and beautiful as higher quality stamps. Just be sure to alter your technique a little and press your blocks more gently than you would with photopolymer stamps. Going a step further, you can invest into inexpensive stamp/die combos such as my sweet scalloped heart and word above, which will give you plenty more options in creating beautiful things. 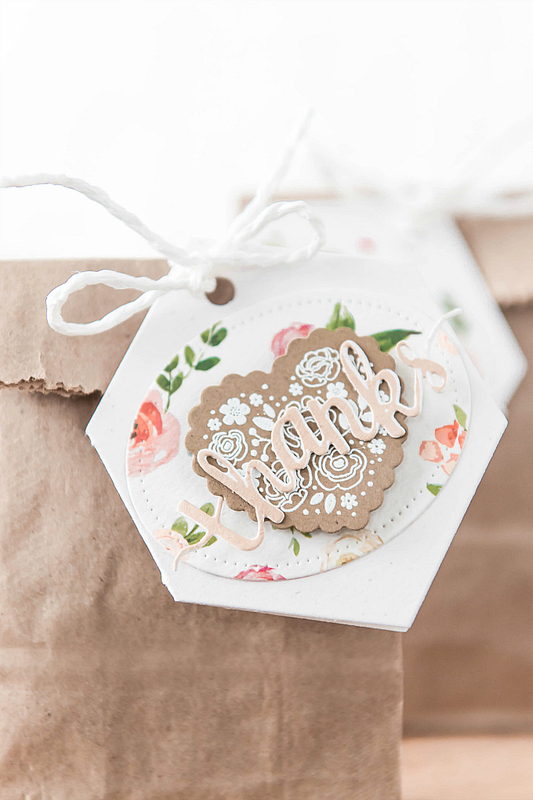 To make my little tags today, I used the PTI Folded Foodie tag die, and then added a floral oval to the front. 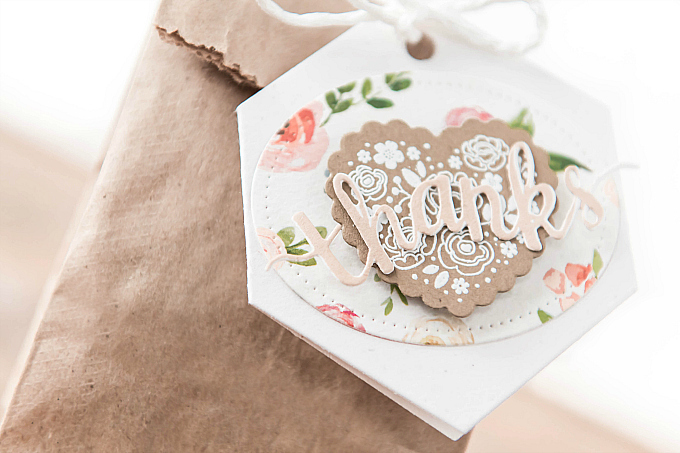 I used my inexpensive stamp/die combo to heat-emboss and die-cut this little heart on kraft paper, followed by a stamped and die-cut sentiment from the Hero Arts Thanks stamp+die combo. I love that both of these sets include dies, and both stamp beautifully when paired with the right ink and techniques. I hope this gives your stamps and dies a new life! Thanks for joining me today, Friends! This list features some affiliate links to products used in the project(s) above. Should you use these links before you shop, it will never add any extra cost to your purchase, but it will go a long way in helping to support this blog and exciting new content. What a super cute tag design Ivana. Thank you so much, dearest Diane! Great tips and lovely tag. I love reusing and repurposing items. Oh I know, right?! It's crazy how many supplies we can accumulate! That is the one constant that seems to be quite unanimous among ALL papercrafters! :) I have soooo many value stamps in my stash before photopolymer came on the market, so it's nice to know that they're still perfectly use-able! Thanks for your sweet visit + note, dear friend!! 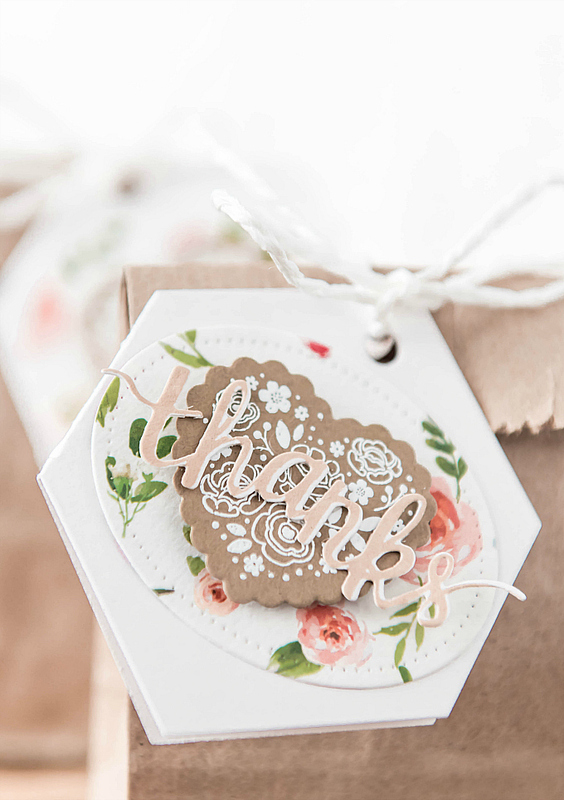 I love this scalloped heart with those sweet little blooms! 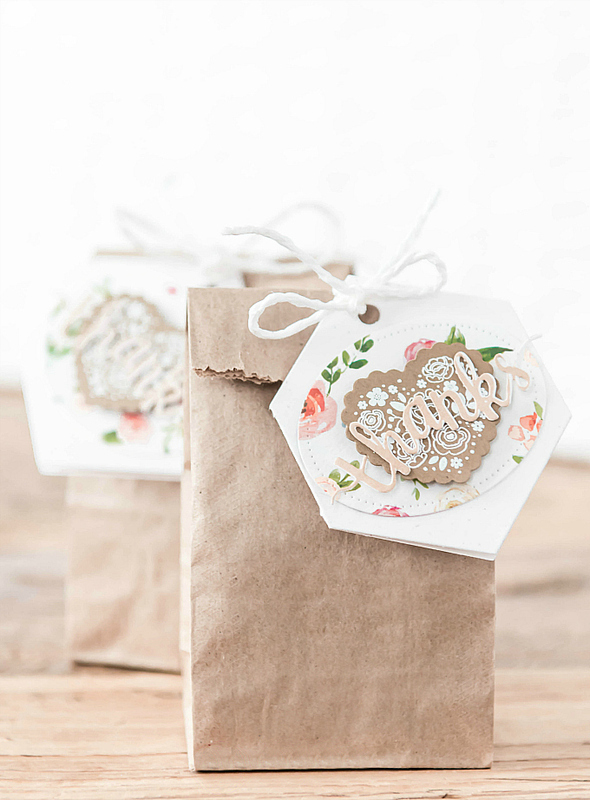 The floral paper is a wonderful backing that brings an airiness to your design. Very pretty tags Ivana! Thank you so much, sweet friend! That floral is such a favorite! Thanks so much for your sweet visits!